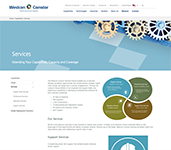 Every day, Juniper Networks helps Westcon-Comstor resellers build the securest, best-performing networks on the planet. Our partners look to us to solve the hardest challenges they face – challenges others can’t or won’t approach. We strive for solutions that give you a true competitive advantage as a complete security solutions provider. Some of the world’s biggest and busiest wired and wireless carriers, cable and satellite operators, content and Internet service providers, and cloud and data center providers run on Juniper Networks. So do major banks, telecom companies, national and federal government agencies, healthcare and educational institutions, and energy and utility companies. Because now more than ever, businesses rely on secure, high-performance networks to unleash their full potential. 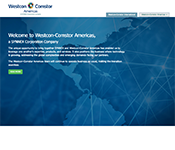 Pair Juniper’s innovative product offerings with Westcon-Comstor’s expert support to power and secure reliable networks everywhere.